Marking the first time The New York Public Library has drawn extensively from its special collections for a new series, these Collector's Editions offer the reader unprecedented access to the library's literary and artistic treasures. Each edition is illustrated with materials from the library's rare book and manuscript collections, including handwritten diaries, letters, and notebooks, previously available only to scholars. Known by readers around the world for his keen psychological insight and gentle vision of humanity's strengths and weaknesses, Anton Chekhov (1860-1904) ranks among the most important of modern authors. Drawing from among the author's own favorite works, this anthology provides a selection of stories, including "The Student", and the play, The Three Sisters. 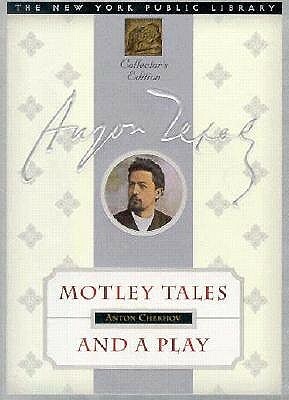 Enhanced by such rare artifacts as the Moscow Art Theater's album of its production of The Three Sisters (with Chekhov's wife in the role of Masha) and Vladimir Nabokov's handwritten lecture notes on Chekhov's oeuvre, this Collector's Edition offers readers the chance to become acquainted with the tender humor in Chekhov's poignant and whimsical tales.